Lauren Bell is the Owner & Principal Broker at Lauren Bell Real Estate, a full-service boutique style brokerage company servicing all of Central Virginia. Selling over $32 million in 2018, Lauren was ranked the #1 realtor in the Lynchburg Market. Additionally, she has ranked in the top 2% of over 600 agents for the past 7 years. For the past three years, LB Real Estate has been voted â&#x20AC;&#x153;Best Real Estate Companyâ&#x20AC;? in Lynchburg Livingâ&#x20AC;&#x2122;s â&#x20AC;&#x153;Best Of â&#x20AC;? Campaign. Membership eligibility required. Member One Federal Credit Union is federally insured by the National Credit Union Administration. Cover photo by Michael Patch at the home of Robert and Stephanie Sullivan. Boonsboro Direct Primary Care is different - we redesigned the primary care experience to better care for our patients. We have eliminated co-pays, waiting rooms, paperwork, being on hold, going to an urgent care, rushed doctor visits, and seeing a different doctor every visit. It’s you and your doctor - the way healthcare should be. Our practice allows patients to save money by being able to switch to a more affordable insurance plan. We don’t bill insurance. The patient instead pays a monthly fee which covers all visits, in-office procedures, and full access to Dr. Anderson. Labs and imaging can be processed through insurance, or paid at our steeply discounted prices. Good medicine takes more than knowledge, more than training; it requires time to listen and follow up. The CLMHS designation is awarded to Institute Members with documented sales performance in the top 10% of their market. Recognized as the mark of accomplishment in luxury markets around the world, the Certified Luxury Home Marketing SpecialistTM (CLHMS) designation assures affluent buyers and sellers that Nadine has the knowledge, experience and dedication needed when dealing with the luxury home and estate market. NADINE CAN HELP YOU FIND THE HOME OF YOUR DREAMS! NEED to SELL? NEED to BUY? Nadine also gives to many other charities and community organizations. She is proud to have sponsored shows for the Jefferson Forest Theatre, and helped sponsor their football and swim teams. She also helped to sponsor the charity event Planes, Tranes and Automobiles. C U S TO M I Z E Y O U R L I F E .
The Best Decision You Will Ever Make! Retire to a place that gives you the power to choose. Stay in control of your future by not only choosing where you will live today, but also who will care for you should your needs change. Whether itâ&#x20AC;&#x2122;s customizing your living space or your daily schedule, Westminster Canterbury is here to create an environment that supports your overall health, well-being and independence. Our beautiful, 42-acre campus and nationally-recognized LifeCare Discover all you can do at Westminster Canterbury and experience life refreshed. * Westminster Canterbury of Lynchburg, VA has been rated and recognized by U.S. News and World Report and does not imply an endorsement. program can offer you, or your family member, a unique experience. Hook-up to your active life with 8 USB ports and 19 cup holders! Every new car gets the“Terry Promise” of a life-time Powertrain warranty. THE BEST QUALITIES OF A REAL ESTATE AGENT... STAGING AND SELLING A HOME! EDITOR’S note Dear readers, Catching up with a dear friend who asked me how 2019 had been so far, my immediate response was, in a word, “rain.” After the record-shattering 65 inches of rainfall recorded in central Virginia in 2018, WSET’s Chief Meterologist George Flickinger predicts that 2019 is on track to be equally sodden. So we won’t be waxing poetic about April showers in this issue of HOME. We have plenty though, between these covers to lift soggy spirits and brighten dreary days, with springtime articles about hummingbirds and bourbon culture, history and spring cocktail concoctions. We offer ideas for repurposed heirloom furniture, tiny retreats, backyard follies and so much more! This is HOME Magazine’s Real Estate Issue! In the iconic and beloved film It’s A Wonderful Life, Mary Bailey blesses the Martini house at the purchasers’ housewarming: “Bread,” she offers, “that this house may never know hunger; salt that life may always have flavor; and wine, that joy and prosperity may reign forever.” We offer you within these pages articles dealing with financial fitness, staging your home for sale, an overview of the local real estate market and so much more! Historic Garden Week is coming right up! Check out our Lynchburg tour overview and this issue’s Showcase Home feature on Ridgecrest, a spectacular, Federal-era restoration and one of the five homes featured on the tour. frankhardy.com © MMXVIII Sotheby’s International Realty Affiliates LLC. All Rights Reserved. Countryside used with permission. FEEL CONFIDENT YOU HAVE MY WORD. • How would you rate the quality of your dental care? • Do you see a different doctor with each visit? • Do you feel as if no one is really listening to you? • Are your cleanings not feeling so clean? • Are the reception rooms packed and the offices less than spotless? You do have a choice. At the office of Dr. Kevin Midkiff everyone knows your name. Our employees average 16 years with our practice. You will find an immaculate office with state of the art care where we absolutely know exactly who you are and pride ourselves on one-to-one care. If you’ve lost confidence in the quality of your current dental care, give us a call. You won’t regret it. You have my word. comfortable for over 80 years. Fast, Prompt Heating & Cooling Services 100% No-risk Guarantee on Everything We Do! Call ahead or order online. offering an ever changing variety of dinner selections. Central Virginia HOME is published five times annually by West Willow Publishing Group, LLC. 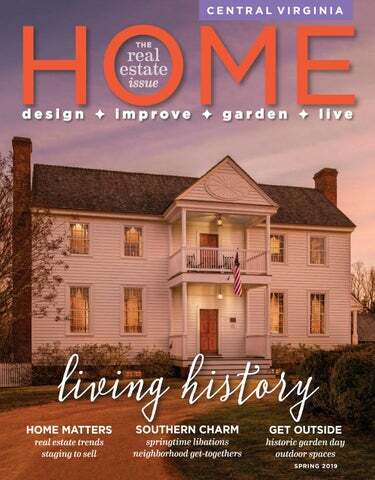 For an annual subscription, please send $20 and your name, address and telephone number to: Central Virginia HOME 2003 Graves Mill Road, Suite B, Forest, VA 24551 For advertising information please call (434) 386-5667 or sales@cvhomemagazine.com. To discuss coverage of an event relating to home or garden, please contact Central Virginia HOME at info@cvhomemagazine.com. WEST WILLOW PUBLISHING GROUP, LLC (434) 386-5667 westwillowpublishing.com Copyright 2019 by West Willow Publishing Group, LLC. All rights reserved. No part of this publication may be reproduced or transmitted in any form or by any means without written permission from West Willow Publishing Group, LLC. All pictorial material reproduced in this magazine, whether in a produced ad or by itself, has been accepted on the condition that it is with the knowledge and prior consent of the photographer or the artist concerned. As such, West Willow Publishing Group, LLC is not responsible for any infringement of copyright or otherwise arising out of publication thereof. The information contained herein has been obtained from sources believed to be reliable. However, West Willow Publishing Group, LLC makes no warrant to the accuracy or reliability of this information. Opinions expressed in this magazine are those of the authors and do not necessarily reflect the opinions of ownership or management. Would you love a place that understands the financial investment of starting and growing your own business and, therefore, chooses to offer a compensation plan that helps keep more of the money you earn? A Higher Road of Service. ome agents spend years looking for the right fit, the right leadership, the right people, the right office. When trust matters. We are committed to providing you and your entire family excellent dental care in a comfortable, technologically advanced environment. Our dentists and staff have training and experience in a wide range of sophisticated, cosmetic and restorative procedures. We are committed to the highest standards of family dental health care and ensuring every patient leaves our office with a confident, healthy smile. Jane & Kate YOUR LYNCHBURGMOTHER/ DAUGHER REAL ESTATE TEAM. TOGETHER WE GET IT SOLD! your home, your future, my commitment. DANIELE SUPPORTS THE LYNCHBURG HUMANE SOCIETY! Looking for ways to make your property stand out in the competitive market? We surveyed local real estate pros about what they're hearing from buyers right now—what they're looking for on the market, as well as feedback on properties they've seen. Curb appeal, a well-manicured lawn and landscaping. Great outdoor space in back…a nice deck, patio, screened in porch, fire-pit or outdoor fireplace. Outdoor spaces are huge—the front yard and back yard are equally important! Open flow, good floorplan for entertaining. Nice finishes, they seem more concerned about appeal than quality. Neutral décor and colors. They convey a sense of peacefulness and comfort, and also help the buyer to easily visualize their personal belongings throughout the residence. A floor plan that makes sense. Often there are functional issues with a house that are tough to overcome—a tiny bedroom that really would be tough to use, a small kitchen or lack of storage space are often deal killers. Main level living; open concept floor plan; outdoor space for private entertaining. As crazy as this sounds, a house needs to smell good, be visually appealing, and buyers should be able to focus when they are at a showing. Cigarette smoke, barking dog, cooking odors, and darkness are HUGE turnoffs. Small bedrooms and lack of outdoor space for entertaining. Homes that are not well maintained; close proximity to neighbors; lack of updates. Age of roof, heat pump—big ticket repair items. Dirt and grime: when the house hasn’t been cleaned. Little things like dirty air filters show that the home is not well-maintained. I always tell my sellers to get a professional deep cleaning before we list. An important and crucial way to gauge the market in any area continues to be home prices and sales of existing homes. Hall says locally, “The average starter home has risen to a range of $125,000–175,000, mid-range homes are from $200,000325,000 and luxury homes start around $400,000 and rise to the $1,000,000 mark.” Overall, average home values seem to have risen in the past few years. In 2017 the average sale price in the area was $192,950; in 2018 it rose to $201,327. He reports that within those ranges, some had no change at all and others had larger than average increases. Sales of existing homes were up 4.5 percent in 2018 which shows that buyers are taking the risk of entering the market. Also relevant to demand, the average time on the market for homes has decreased nearly 25 percent—from 91 days in 2017 to 70 days in 2018. All of these factors contribute to a healthy market, but perhaps the most important factor is the presence—or lack—of inventory. “If there is one weak area in existing single-family offerings in our area, it is the very high end— $750,000 and up,” says Flint. “Fewer families seem to want or need six bedroom homes with 6000 plus square feet,” says Flint. Hall echoes that sentiment: “The higher the value, the more limited the buyers are,” who are able to finance those properties. “Many in the upper price range,” reports Hall, “are building custom homes rather than purchasing existing ones.” A healthy market has a higher inventory of affordable single-family homes. In 2018, over 350 homes were sold in the $150,000 to 300,000 range. Hopefully as we move through 2019, inventory will be on the rise in all price ranges as more and more people decide to list their homes for sale. Buying or selling— is now your time? I am your premier real estate expert in Lynchburg! Location, Location, Location—Shopping, Entertainment, Health Care. Conveniently located in Historic Boonsboro, Cottage Hill features warm natural gas, low maintenance and custom craftsmanship. Come see what all Cottage Hill has to offer. SEE US FOR HOME EQUITY LOANS, LINES OF CREDIT and MORTGAGES! the water every three to four days. If mold develops, wash it out with warm water. You can also use a small amount of diluted vinegar and uncooked rice to scrub it clean. After hummingbirds have discovered the feeder, you can move it a few feet every day, closer to a window for a birds-eye view of the action. You can also hang a feeder with a suction cup on the window. In spring, you can expect the arrival of hummingbird “scouts,” migrants will soon follow and hold steady throughout the summer. Don’t be surprised if autumn isn’t the tiny birds’ rush hour out. It’s not too late to put feeders out then, as you’re likely to see even more birds—this time, the adults with their young— making the move southward. hummingbirds are the only birds that can fly both forward and backward. have tiny hairs on the tip of the tongue to help lap up nectar. can hover in mid-air, fly sideways and even upside-down. have hearts that beats up to 1,260 times per minute in flight and about 250 times per minute at rest. can fly an average of 25-30 miles per hour. can dive at up to 60 miles per hour. have wings that rotate in a full circle. can see and hear better and farther than humans and can see ultraviolet light. have bright radiant color that comes from iridescence like soap bubbles or prisms. are smart! They can remember every flower they have been to and know how long it will take a flower to refill. have little to no sense of smell. efore dismissing out of hand an offer of Grandma’s decades-old dresser, it might be wise to think twice. There is something special about antique and vintage furniture that, with a bit of updating, can be transformed into trendy, eclectic pieces that set off more modern decor in spaces that feel fresh, inviting and eclectic. A little elbow grease and a coat or three of paint can result in a family heirloom for the next generation. It’s worth putting time and money into an old piece of furniture if it has good bones. If you’re inspired to take on an upcycle, just do it! The beauty of upcycling is that it doesn’t have to be perfect. Start with a simple, straightforward project. Find inspiration in magazines and on Instagram and Pinterest; take those ideas with you when you embark on the hunt—the best part! There are so many places to look: Facebook Marketplace, estate sales, rummage sales, thrift stores and the king of all upcycling resources, the flea market. If you’re fortunate enough to be able to get to a good flea, the world of junk will be your oyster. Look for pieces with good bones; make sure your targets are structurally sound if you don’t have a fix-it person at the ready. Shake the table, sit in the chair, pull out the drawers as if you were buying it new. Sometimes pieces need just a little TLC and sometimes they are just too far gone. But don’t discount those “too hard” pieces either! Maybe the top could be turned into a sign; the leg can be used to make a towel rack; the apron can become a frame for another amazing piece. Youth Theatre Presents: 20 Academy Wakanda Disney’s Beauty and the Beast, Jr.
ith GRAND HOME FURNISHINGS’ DESIGN CONSULTANTS available to help you select furniture for your home—you’re sure to find the perfect piece. Each Design Consultant receives an extensive education and training to help you find the perfect mix of furnishings to make the time spent at home the most enjoyable part of your day. Best of all—these services are offered at no charge to Grand customers. GRAND HOME FURNISHINGS DESIGN CO N S U LTA N T Jill Truitt, Grand’s Corporate Display Coordinator/Buyer Jill has been with the Grand family for over 25 years. Jill believes that creating the perfect style for your home should never be based on what the designer likes to do, but on what will make the customer happy. Myth #1: Designers are only needed on large projects. Our Design Consultants can assist in the design and furnishing of any size project. Whether an entire home or the smallest nursery, they can help make your dream a reality—no matter the size. Myth #2: A big budget is needed to hire a designer. Grand’s design services are free with your furniture purchase and our consultants know how to manage your budget for the maximum result. Myth #3: You have to use the designer’s ideas. Our Consultants work with you to ensure you are happy with the furniture choices you make. Plus—Grand offers a 30-day total satisfaction guarantee. If you are not happy with your purchase within 30 days we’ll exchange it or provide a full refund. See the store for details. (even snobby) cousin, scotch whiskey. Bourbon has long been the drink of regular folk, not particularly complicated or fussed over and deeply ingrained in southern culture. In the last decade or so, though, bourbon has begun to rival if not surpass scotch, in popularity and complexity. Bourbon festivals, tastings and tours are easy finds across the country and make for leisurely day trips right here in Virginia, where there are no fewer than a dozen distillers of my favorite hooch. A bourbon crawl starts up the road from central Virginia to Afton’s Silverback Distillery; to the east is Richmond’s Reservoir Distillery. Manassas has KO Distilling and a quick jaunt to Fredericksburg winds up at the A. Smith Bowman Distillery, where their Single Barrel Virginia Straight Bourbon beat out Kentucky distillers in 2018 and was named the “World’s Best Bourbon” at San Francisco’s World Spirits Competition, associated with the Triple Crown of Competitions. At any rate, a bourbon tour is a great way to spend a weekend; it goes without saying that wise bourbon day trippers designate dry drivers. As April brings warm weather and the fireplace is cleaned for the season, you may be thinking it’s time to move the brown liquor to the back of the cabinet and bring forward the lighter spirits of spring. Just hold on! There are tasty ways to enjoy the smoky brown brew all through spring and summer. Derby Day is coming, accompanied by the most iconic warm weather bourbon concoction in the south—the mint julep. Imagine porch-sitting in a big wooden rocker on a wide veranda in May, the smell of magnolia in the air and a sweet, icy, minty cocktail in a cold Julep cup in hand. The recipe for this nostalgic classic is simple: crushed ice, home-made simple syrup (infused with fresh mint or not) and mint for stirring and muddling around. Serving it up in a pewter or silver cup makes it seem even colder on hot spring days, as crushed ice forms frost on metal. THE MINT JULEP MAY STAND AT THE HEAD OF THE CLASS, BUT IT’S NOT THE ONLY WARM-WEATHER BOURBON COCKTAIL. TRY OUT YOUR MIXOLOGY SKILLS WITH THESE GREAT SPRING PARTY DRINK RECIPES! 1 1/2 ounces bourbon 2 ounces lemonade 1 ounce pomegranate juice Shake with ice and strain, serve over ice and garnish with lemon wedge or cherry. As with every other room, the options for personalizing your outdoor space are limitless. The classic, wrought iron and wicker options are still available, but there are more contemporary routes if your taste demands it. There are also treated composite wood and untreated wood options, such as teak, white oak and cypress. The outdoor space can reflect the flow of your home’s indoor colors and style through the furniture style and arrangement, finishes and fabrics. For example, a traditional colonial-style home with a brick-paved patio may benefit from a classic black wrought iron furniture arrangement with an equally-classic green and white cushion set, while an expansive deck on a ranch-style home with a view may look best with a weathered teak sectional and bolder accent colors in the fabric. If you are going to use your space for al fresco dining, you would obviously be investing in comfortable and durable dining chairs and a table, but you may also want to include a small sitting area with a matching loveseat or chaise for after dinner conversation. If you’re decorating a patio with a fire pit, arrange a sofa and two or three armchairs at a safe distance around the fire pit, perhaps including a few floor cushions for extra guests. In any arrangement, choosing the focal point is critical. A fire pit is an excellent centerpiece but also think about a sumptuous ottoman or one-of-a-kind cocktail table. Be sure your outdoor space speaks to you: comfort, relaxation and fun are vital. Enjoy Peace of Mind in our Life Plan Community The Summit is retirement living at its best. The lakeside garden homes and apartments are completely maintenance free, leaving you time to do all the things you have always wanted to — whether it be traveling, volunteering, or spending time with your family and friends. And you will have the peace of mind knowing that healthcare is here on campus if you need it. TIME FOR A NEW YOU… AT OUR NEW HOME AESTHETIC SERVICES: Fractional/Full Laser Resurfacing • BBL • Injectables • Thread Lifts • Blepharoplasties • Brow Lifts Liposuction • Microneedling/Aquagold Facials • Coolsculpting • SkinTyte • Laser Hair Removal • Laser Tattoo Removal IV Hydration • Vitamin, & Hormone Therapy • Vein Ablation/Sclerotherapy • Laser Vein Treatment • Hydrafacial • Emsculpt William Carvajal, MD FACS: Board certified facial surgeon with over 16 years of experience in facial cosmetic surgery. Michael Richmond, MD: Board certified anesthesiologist with specialized training in vein therapy. Guidance and answers that get you in your home faster from local lenders who give you their time and direct line. From application to closing, we’re with you at every step. 434.455.1700 www.myselectbank.com Subject to credit approval. Member FDIC. Have you thought about refinancing your mortgage loan? Maybe you’re not sure if it would actually help move you ahead. Perhaps you are curious as to why anybody refinances their mortgage in the first place. People refinance for different reasons: they might want to consolidate debt, make home improvements (like finishing a basement or adding a garage), or garner the benefits of paying a lower-interest loan. Still more might want to switch from a 30year loan to a 15-year loan—the latter lets you pay less interest over time and allows you to pay your mortgage off faster. Typically, you want to save 1% when you refinance. Take a look at what you’re currently paying in interest, how much life is left on your loan, how much it will cost to close and if it will save you more in the long run to re-fi. Will Luper has good news: “The rates are still historically low.” He predicts that rates will stabilize throughout the year. Rick Comar shares that perspective and adds that “interest rates should not impede anybody from trying to purchase a home this year if they qualify.” Holly Roark comments, “We have seen a slight decrease in mortgage rates since the end of last year and they are holding steady. They should continue to stabilize at the current levels, maybe even dip a little.” Cynthia Turner agrees, “Rates have been steady for several weeks, fluctuating very little but in this industry, they never stay that way for long. We are seeing the lowest rates we have seen since around this time a year ago so if you are considering buying, now is the time. years after certification, making all records and information available to the division of the USDA that oversees organic food production. Organic food producers tend to rotate crops, use compost and manure to fertilize, utilize birds and traps to protect crops from pests, allowing animals to roam while feeding them organic food. “Local” foods are grown and produced regionally, but are not necessarily organic. “Conventional” foods are grown and processed using chemical fertilizers, pesticides, antibiotics and growth hormones to produce food that can cost less at the grocery store, but has higher environmental and health impacts. So now that you know what some of that means, how should you use that knowledge when shopping for groceries? And how can you understand what you need to buy organic, versus what you can buy that’s conventionally grown? Start with produce. There is a group called the Environmental Working Group (EWG), a nonprofit, nonpartisan group dedicated to protecting human health and the environment— sort of an environmental Consumer Reports. Every year EWG puts out a list of what they call the ‘Dirty Dozen’, the top 12 produce items with the most pesticide residue. This list is part of their Shopper’s Guide and is meant to be a resource for those who cannot always buy organic foods. The latest list from 2018 includes strawberries, spinach, nectarines, apples, grapes, peaches, cherries, pears, tomatoes, celery, potatoes and sweet bell peppers. Robert and Stephanie Sullivanâ&#x20AC;&#x2122;s future together was bright when they completed their medical residencies in Cincinnati in 1997. With a young daughter, Matilda and newly burnished degrees in pediatric medicine, the double doctor duo really could have gone anywhere. Stephanie is from South Carolina; though Bob grew up in Atlanta, heâ&#x20AC;&#x2122;s a Virginian by birth and hoped to return to the area to set down roots. When Hopkins Pediatrics recruited the couple together, they visited Lynchburg for the first time; their first impression as they drove down Madison Heights Hill was of how much the downtown cityscape reminded them of Cincinnati, another hill city on the river. Period wallpaper, decor and furniture lend warmth and permanence, an antique lambing chair sits fireside in the parlor. Upon further exploration, they were charmed by Lynchburg’s wealth of diverse and historic architectural styles—Federal, Greek Revival and Victorian. They loved the Hopkins practice and purchased their first home on Greenway Court; Benjamin came along in 1998 and the young family grew into the close-knit Boonsboro community. The couple shares a deep love of history and both are collectors of early southern furniture. With the help of Frank Joseph, an antiques dealer and preservationist in Charlottesville, they began to look for a Federal-period house and land near their practice and Virginia Baptist Hospital. Coming up empty closeby, they went ahead and bought a vacant nine-acre tract on Fox Hill Road and cast a wider net as they continued the search for a period home. They learned in 1999 of a plantation house in Halifax County on the Virginia Landmark Register and The National Register of Historic Places, built around 1822. A descendant of the original owners, Bowling and Mildred Baker Gaines Eldridge, had purchased the house in the 1960s with plans for its restoration. The home had only recently achieved national landmark status in 1993; nevertheless, the descendant abandoned restoration plans, agreeing to sell the house to a buyer who would pledge to restore it. The couple visited the house; its ramshackle exterior belied the structure’s condition: “The bones were solid,” Bob recalls; the couple was sold on the property and negotiated a closing in 2000. Frank Joseph’s family has for generations saved historic structures by dismantling, numbering, cataloging and storing building parts until just the right buyer comes along. “It’s kind of like ultimate recycling in a way,” adds Stephanie. They formulated a plan that would satisfy state and national preservationists as only one other house had—Mt. Ida, a late 18th-century farm which was moved in this manner in 1995 from Buckingham County to Charlottesville and managed to retain its historic registry designations. Upon closing, Frank Joseph and his brother began to dismantle the house, a two-story, mortise-and-tenon frame structure with gable roof, double front portico, exterior brick chimneys, brick foundation and beaded weatherboard siding, as well as a two-story ell added in 1823 with its own chimney and a pent room. The team cataloged each piece before it was loaded onto a tractor-trailer; they saved every salvageable element including the old wood lath; much of the interior plaster and weather-beaten antique clapboard siding was lost. out a set of dental tools and began the painstaking process of removing years of paint from the intricate, hand-crafted millwork to reveal original detail. Almost all the original doors were preserved though some were moved around in the house. Bob found a discarded door lying on it’s side in the ell, similar in construction to other exterior doors with more intricate paneling on front and back. When he realized he had found the original front door it was put back in place; the door that it replaced fit perfectly the doorway to a small closet under the stairs in the entry hall. Bob notes, “Once it was put back in place, we realized that there was half a mouse-hole on the bottom corner of the original door that now completed the other half mouse-hole on the door trim. It was a perfect match!” Original woodwork was installed. Replication duty of window sashes with restoration glass was handled by Gaston & Wyatt, a Charlottesville firm specializing in architectural millwork restoration, whose projects include Thomas Jefferson’s Monticello and Poplar Forest and James Madison’s Montpelier. Doors needing repairs were handled by Tinnin Martin, a restorer of violins and antique windows who has since retired. Anderson’s team began hanging the window frames, sashes and doors. Beaded and beveled wood siding was copied by Taylor Brothers; referencing documentary photographs from the 1910s, they also made posts to 1820s specifications using as templates originals that had been cut down, to rebuild the double front portico. Original wide-plank, quarter-sawn yellow pine floors were installed, though some flooring had to be replaced—at The Sullivans’ collection of southern antiques from the Federal era or earlier feels at home here amid stately surroundings. The homeâ&#x20AC;&#x2122;s original palette of pinks, blues and greens is grounded by period carpets and floorcloths; the mural here can also be found in the White House and Gracie Mansion. A federalperiod crimson couch adds a pop of color in the parlor. Explore What Beautiful Can Do For Your Windows! Serving Lynchburg & Surrounding Areas Schedule a free in-home consultation. Bedrooms upstairs are cozy and spare, with unfinished floors and original detail. Win this House Built by M.W. Dunbar Construction in the Orchards of Ashley Plantation in Daleville, VA, estimated value $425,000. Saturdays: 9 a.m. - 5 p.m. Sundays: Noon - 5 p.m.
157 Island Green Road | Daleville, VA 24083 Register for free at the Open House for a chance to win a $5,000 gift card. 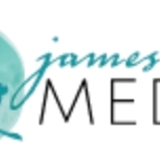 Bonus Prize — $10,000 Visa gift card, courtesy of Bank of The James. Get your ticket by June 14, 2019. A unique selection of shopping and dining, coupled with friendly business owners makes Boonsboro Shopping Center a superior shopping destination. Modern homeowners and purchasers have the freedom to think creatively, whether purchasing or contemplating changes to their current homes. They no longer need to feel restricted by current layouts or space available and have been encouraged to think outside the box and transform their spaces to fit the function, feel and aesthetic they desire. These inspired transformations can extend outdoors to create tiny retreats—garden nooks and outdoor follies that reflect the homeowners’ style, interests and personalities. Extending outdoor spaces not only creates a tranquil escape that extends beyond the conventional walls of your home, but those investments increase the value of both home and property. When asked about creating outdoor tranquil retreats, Mark Maslow, owner of Southern Landscape Group, says, “When I think about tiny nooks and small retreats within a landscape, I get really excited! After all, we are talking about creating a closeness to nature and designing a space that gives you the euphoric feeling of peace and tranquility. We all could benefit from that kind of escape that is right there on your property.” Maslow suggests the following considerations when planning an outdoor retreat: n	Location: Is it easy to access from your exterior doors, yet away from noise and people? At Lynchburg City Schools, we offer abundant opportunities for students to find their pathway to success. In the classroom, students discover what motivates them to learn through small group and differentiated instruction. Beyond the classroom, students find their passion to express themselves through music, theatre, art, and athletics. So whatever your passion is, whatever your talent may be, you are sure to find yourself here at Lynchburg City Schools. “All the world’s a stage,” William Shakespeare wrote in his comedy “As You Like It.” The Bard was onto something. Relocating his family from Stratford, England, in 1599 across the river to Southwark and again in 1604 to an area north of St. Paul's Cathedral in London, we can assume he understood how to present each residence in its best light for potential buyers, yes? COLORS THAT WILL HELP SELL YOUR HOME FROM THE EXPERTS AT JAMES T DAVIS. Works from the standards of truth, honesty and integrity. Chances are unless you live in a brand new home you have given some thought to replacement windows. Initially conceived as an affordable way to replace dated and inefficient windows without having to replace exterior materials of the home, replacement, or retrofit windows are designed to fit into an existing window opening. Historically these replacements were almost universally unimaginative: made of aluminum or vinyl, with plastic fittings. They were an improvement on drafty, single pane glass windows, but aesthetically, they were, in a word, blah. Pre-season special precision tune-up to make sure your air conditioner doesn’t roll over this summer! All brands. GENERATOR AND ELECTRICAL INSTALLATION AND REPAIR! Although exciting, moving to a new home can be difficult and a bit lonely, regardless of whether the move is to a different neighborhood across town, or across the country. Neighbors frequently want to welcome new-comers but grow tired of showing up with the same uninspired plates of brownies. Sometimes it feels as though we go through the long, cold winter alone, barely seeing our neighbors. Now that the weather is warming up, people long to get outside and socialize. Throwing a block party can reacquaint old neighbors and welcome new ones. Our neighborhood is made up of many cul-de-sacs, so we tend to gather in one of those. You can designate a front or back yard for the gathering—have “Cocktails on the Corner,” or if there is a public space nearby, have a “Party in the Park.” Whatever you call it, the point is to get people together over food and drink and enjoy each others’ company. Keep the menu simple and ask everyone to bring something. You may want to assign certain types of food, so you don’t end up with six bowls of guacamole and no chips! All of these recipes can easily be doubled or tripled to feed a crowd. Serves 4 as a main course or 8 as an appetizer It’s nice to include an option for those who are eating low-carb, but these meatballs are so delicious, everyone will enjoy them! 1 pound ground chicken 1/2 c almond flour 2 T cream cheese (cut into small cubes to make mixing easier) 1 packet dry ranch dressing mix 1/2 t salt 1/4 t pepper 1/4 t garlic powder In a large bowl, mix ground chicken, almond flour, cream cheese, contents of the dry ranch packet, salt, pepper and garlic powder. Using wet hands, form the meat mixture into 1-1/2-inch round meatballs. (The mixture should be sticky and wet hands help; keep wetting your hands as you go). Heat a skillet over medium-high heat and add a little olive oil. When hot, add the meatballs, working in batches and adjusting the temperature if the meatballs are browning too quickly. You just want to brown them a bit, they won’t be cooked all the way through. Once all the meatballs are browned, transfer to a baking sheet and bake in a 350 preheated oven for about 10 minutes until the meatballs register 165 degrees on an instant-read thermometer or cut into a meatball to check that it is cooked through. Wash the cilantro carefully to remove any sandy materials, dry and cut off the end of the stems. Twist the bunch, fold over and twist again. Chop the leaves and stems. Small-dice the onion and combine onion and cilantro on a cutting board. Sprinkle with salt. Chop through the pile with a chef’s knife, then take the side of the knife blade and press the salt into the onions and cilantro. Repeat chopping and pressing until the mixture resembles a chunky paste. I really think this is what makes my guacamole different. To chop the jalapeno, wear gloves to avoid burning your fingers. Also, be careful not to touch your eyes while working with peppers. Remove seeds from the jalapeno (that’s where a lot of heat is), then finely chop the pepper. Peel the avocados, removing the pits and place in a bowl with the onion/cilantro mixture. Mix with a fork to desired consistency. Squeeze the juice of one lime over the avocado mixture and taste. This is also when I add the jalapeno. Depending on the size of the avocados and the juiciness of the limes, you will probably want to add more lime juice. (I usually add the juice of one lime per avocado. This sounds like a lot, but it keeps the guacamole from turning brown and we love the tanginess.) I usually add extra salt as well, but it’s important to taste as you go as the ratio of ingredients is a little different every time. Creating trust and integrity for businesses and individuals by building a solid foundation upon reputation, experience and expectation. Establishing an experience through trademarks, logos, business collateral, unified messaging, advertising, presence and impression. Taste the products! Mix & match flavors! Unique gift ideas! Locally Owned & Operated Shop small in the mall! We're across from Bounce About in River Ridge Mall. he urge to declutter this time of year is practically inescapable. Spring has officially sprung and with that, we yearn for freshness and simplicity. The desire may seem even stronger these days with the increasingly popular Marie Kondo mantra making its way into our lives. If you haven’t heard of her yet (do you live under a rock? ), Kondo is a professional organizer and author with a brand-new Netflix series out called Tidying Up With Marie Kondo and she is all the rage right now. Her method involves keeping only things that “spark joy,” treasuring what you have and creating displays for you to value each individual object. Perhaps you have a cherished piece of furniture that you truly cannot part ways with, but you aren’t quite sure what to do with it. Or maybe you need ideas for making the most of smaller rooms. I’m not here to preach to you about Kondo’s ways, but I am here to help you simplify those tight spaces and expand functionality with pieces of furniture that do double duty. Catering in all seasons, for all reasons. Everything for the home... and then some! PROUDLY FLOORING THE LYNCHBURG COMMUNITY SINCE 1975. GARDEN blooms about town Historic Garden Day is hosted by Lynchburg Garden Club and Hillside Garden Club. Tour headquarters will be Oakwood Country Club, at 3409 Rivermont Avenue. Tickets are available for purchase in advance, or on the day of the event and luncheon boxes are available by prepaid reservation. Ticket holders will also receive free admission to seven area places of interest. For complete information on tickets, luncheon boxes and the most current schedule of events, please visit vagardenweek.org. A tour of Ridgecrest is featured in this issue beginning on page 60. This Federal-style house was built in 1822 in Halifax County. It was later dismantled and moved to Fox Hill Road by its current owners and is on the National Register of Historic Places and Virginia Landmarks Register. All original rooms were left intact, though some of the interiors were modified to accommodate the needs of a modern family. Visitors are welcomed by English boxwoods and a grand portico. All doors have been grained in mahogany and tiger maple like the originals. Color schemes and finishes were matched by elaborate paint analysis of the original woodwork. The entrance hall is papered with a pattern that dates to 1790; it depicts a patriotic scene known as “4 July 1776.” Also featured is a painted floor cloth by John Kraus inspired by the graining patterns of the house. All mantels are from the original home except for the replica in the parlor. Behind the house, a formal garden features dwarf boxwoods and chestnut roses. Outbuildings include a privy, well and smokehouse, as well as a summer kitchen with brickwork done by masons from Monticello. Dr. Stephanie Sullivan and Dr. Robert Sullivan, Jr., owners. This 1970s house was acquired by its owners when they added 20 acres to their existing property. The house features a large central room with vaulted ceilings, wide-plank pine floors and a large stone fireplace. To make the house appear more rustic, the owners enlisted Colin Anderson to create a log-cabin façade for the house’s interior and exterior. A large chandelier made from 98 whitetail deer antler sheds is a focal attraction, along with taxidermy specimens native to Virginia including buffalo, elk, whitetail deer and mountain lion. A tavern cage bar anchors the main room inspired by an historic tavern in Alexandria, Virginia. Outside, the front porch affords views of the grounds and outbuildings. A place of relaxation and solitude, the cabin is a favorite weekend retreat, located just a short walk from the more formal main house next door. Dr. Stephanie Sullivan and Dr. Robert Sullivan, Jr., owners. OUR MONSTER TREE SERVICE PLANT HEALTHCARE EXPERTS HELP YOU GET A JUMP START ON SPRING PEST CONTROL AND FERTILIZATION. two bathrooms were later added. The current owners completed a third addition in 2015. The cabin is decorated with a blend of antiques and rustic American pieces. Of special interest are handcarved ducks and a painting of an old tavern at Salt Creek near Elon by the ownerâ&#x20AC;&#x2122;s brother. Behind the cabin and overlooking the river are the ownerâ&#x20AC;&#x2122;s vegetable and herb gardens. The landscaping of the property uses deerresistant plantings such as boxwood, hellebores, laurels, St. Johnâ&#x20AC;&#x2122;s wort, daffodils and ornamental grasses. A smaller cabin on the property is often used for family and guests and is also open for the tour; the rugs and carved wooden objects within are from Poland and were gifts to Dr. Eppes from his aunt. Dr. and Mrs. Thomas W. Eppes, Jr., owners. This stylish loft is located in a downtown building built in the 1800s as a wagon factory, which later served as the Eastern Electric Company. The current owners gutted and redesigned the building as a Mexican hacienda. Perched atop Bootleggers Restaurant, the loft overlooks Lynchburg’s Lower Bluffwalk, a pedestrian walkway offering stunning views of the James River and Blue Ridge beyond. The home’s metalwork, staircase railings and master bedroom grates were custom-made in Mexico from designs drawn by the owners. The trompe l’oeil paintings in the powder room and living area are the work of Mrs. Borel, as are the bathroom vanities. All cabinetry was built in and shipped from Mexico. Of special interest are the exterior copper awnings, kitchen hood and island, all hand-made by an elderly Mexican artist who begins his process by sketching his creations onto a dirt floor; he also produced all the home’s ironwork. The living room coffee table was made from a railroad casting found during construction when the owners cleared the property. The owners take particular delight in their view of the trains, river and everexpanding activity of downtown Lynchburg. Mr. and Mrs. Mark Borel, owners. This Queen Anne-style house, a National Register landmark, was the home of noted Harlem Renaissance poet Anne Spencer (1889-1975). The interior and furnishings are unchanged from the 73 years the Spencer family lived there. Many nationally known Harlem Renaissance visitors, civil rights leaders and prominent African Americans were guests of the Spencers through the years. Anne loved both poetry and gardening. Her husband, Edward, crafted a garden for her and garden cottage named “Edankraal.” The garden is divided into enchanting “rooms” by a wisteria pergola and grape arbor. Edankraal was a retreat for Anne and a source of inspiration for many of her poems. Beginning in 1983, the garden was restored to its 1937 appearance by Hillside Garden Club, which continues its routine maintenance. The garden has twice won the Common Wealth Award from the Garden Club of Virginia. Federal architecture. Built in 1815 for Dr. George Cabell, the house is distinguished by its octagonal façade and finely crafted interior woodwork. Dr. Cabell (1766-1823) was a prominent Virginia surgeon and Patrick Henry’s close personal friend and physician. He married Sarah Winston, Patrick Henry’s cousin, in 1792. Inherited by William Lewis Cabell upon the death of his mother in 1826, the mansion was renovated in 1828. In 1830, Judge William Daniel inherited the property. The mansion has been restored to its original appearance and furnished with period pieces. In 1977-78, with proceeds from Historic Garden Week, the Garden Club of Virginia began restoration of the grounds. pointofhonor.org. Since its founding in 1895, the Lynchburg Art Club has promoted and celebrated visual fine art in Central Virginia and is now one of the oldest clubs of its kind in the country. The Club’s Permanent Collection includes paintings by various club members through its history, beginning with work by founding member Bernard Gutmann, who has been called America’s Impressionist. Selections from the Collection are displayed in its first-floor galleries along with changing exhibitions. Call us at 434.821.6004 or visit us on the web at soscapes.com to schedule a consultation.